Sign Up for CG's Weekly Email Newsletter! If you love all things fashion, beauty, lifestyle, food and fun, you will love College Gloss’s very own weekly email newsletter! The Gloss gives readers an instant heads up on our most popular posts of the week, plus exciting stories to look out for in the future. We have celebrity interviews, recipes, style advice and more, so you definitely don’t want to miss out. Wondering how to receive the newsletter? It is free and easy, just enter your email in the sign-up box located on the right side of our page. After submitting your email, you will receive a confirmation email from us. Click the link in the email, and you will then begin receiving weekly newsletter emails. It’s as simple as that! 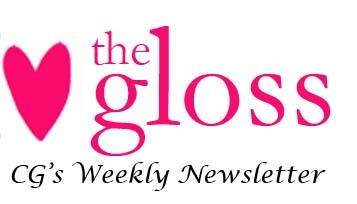 There are many benefits of being on our mailing list from sneak peaks to future posts, information about contests and giveaways, and of course the 411 on everything that is hot and happening on College Gloss! What are you waiting for? Sign up for our newsletter today!